"We don&apos;t officially carry burnt ends," said Barry Sorkin, owner of Smoque BBQ. Was it a dream? I remember calling up just this past Sunday to place a Father&apos;s Day pick-up feast with pulled pork and sliced brisket, asking for as much bark and crust as possible. Then I heard the question: "Like burnt ends?" Burnt ends are BBQ black gold. A delicacy of the Kansas City school of Q, they&apos;re the crisp and fatty brisket ends, traditionally cubed, then smoked again—sometimes slathered with sweet, tangy, ketchupy KC-style sauce. Not everyone loves them. Some people find them too tough and dry. These are the same people I&apos;m guessing who don&apos;t like the corner or edge pieces of baked macaroni and cheese, cornbread, or cobbler. To them, I say: THANK YOU. In the clear light of day today, Summer Solstice, the longest day of the year, I spoke with Barry about this fairyland Q. 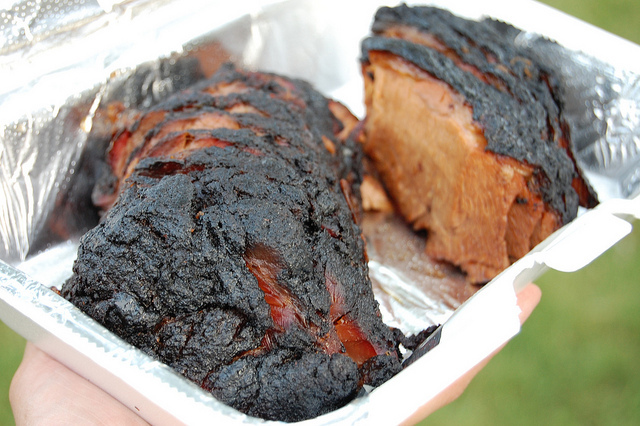 "The reason we can&apos;t do burnt ends is because we&apos;re including it with the sliced brisket. It&apos;s a tradeoff," he said. "If someone asks for burnt ends, we just try to cut from the crustier part." "If everyone asks for it we&apos;ll be in trouble." 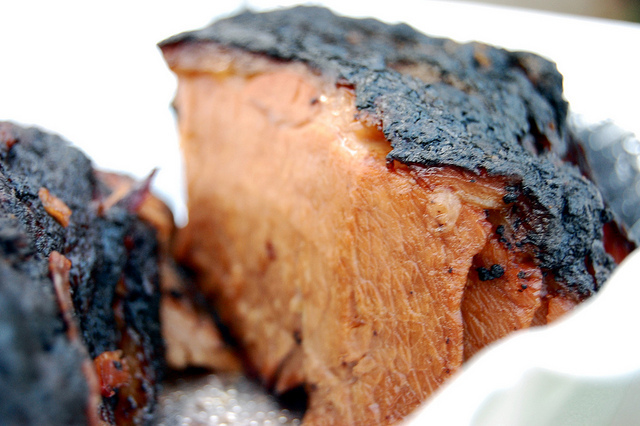 Smoque has served classic KC style burnt ends as an occasional special. Brand BBQ has them in a combo sandwich and mac and cheese, Pork Shoppe in baked beans, and at Real Urban Barbeque they&apos;re a specialty that sells out fast. "We&apos;re always looking for ways to do more traditional burnt ends," said Barry, "I&apos;d much rather be able to offer the real deal." Smoque may not serve traditional burnt ends, theirs more burnt edges on succulent slices of smoky brisket. But I assure you, at first sight of the blackened treasure, at that moment, things got very real indeed.